Saulo da Silva is Chief Global Interoperable Systems Section at the International Civil Aviation Organization (ICAO). Saulo da Silva began his career in the Brazilian Air Force as an Air Traffic Controller in an Area Control Centre in 1985. After finishing his Electrical Engineering course and his Master in Air Transport Engineering and a post-graduation in Air Traffic Management he moved in 1995 to the Brazilian Air Navigation Service Provider where he became a procedure designer and an airspace manager. In his career he participated and provided service as Chairperson of several ICAO regional meetings in the Caribbean and South American Regions as well as represented Brazil in different ICAO Panel of experts. 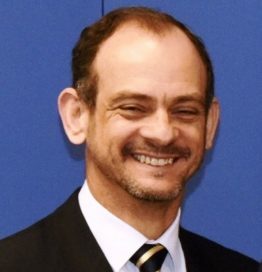 Saulo joined ICAO in 2007 as an Air Traffic Management Technical Officer and served as Secretary of the Air Traffic Management Requirements and Performance Panel, and the Separation and Airspace Safety Panel, where he led the efforts to develop new concepts and Standards and Recommended Practices related to Information Management, Flight and Flow Information in a collaborative environment and reduced separation minima. Currently Saulo is the Chief of the Globally Interoperable Systems Section in the ICAO Air Navigation Bureau and responsible for the development of the Global Air Navigation Plan, the development of system-wide information management (SWIM) and also responsible for the development of a trust framework to help the aviation system to face cyber threats and keep resilience considering the interconnected aviation ecosystem. Saulo is currently pursuing his PhD on cyber safety and resilience.